There are many good reasons to choose a Genesis Series Spa from Cal Spas. but the top two reasons have to be the Rotomold construction and the plug and play feature. This makes the Genesis Series a good entry-level product for those who have been thinking of purchasing a hot tub for their home. The Genesis Series Spa employs Rotomold construction for the both the structure and panels. The benefits of Rotomold construction include increased durability and complete portability. 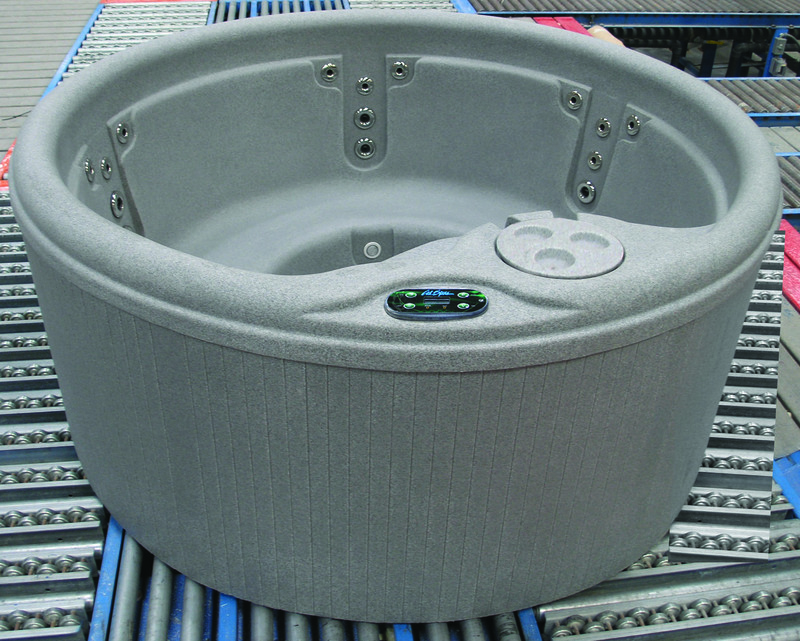 This process makes your hot tub so lightweight that it is completely portable. You can even take it with you when you move! For your convenience, Genesis Series Spas also utilize “plug and play” technology. This series comes standard with a GFCI plug with cord which works with any standard 15amp outlet. This can be installed without having to call out an electrician so there’s no need to wait. Cal Spas is so confident in their products that all Genesis Series models come with a lifetime structural guarantee. If you are looking to purchase a hot tub this season, the Genesis Series is an intelligent choice.